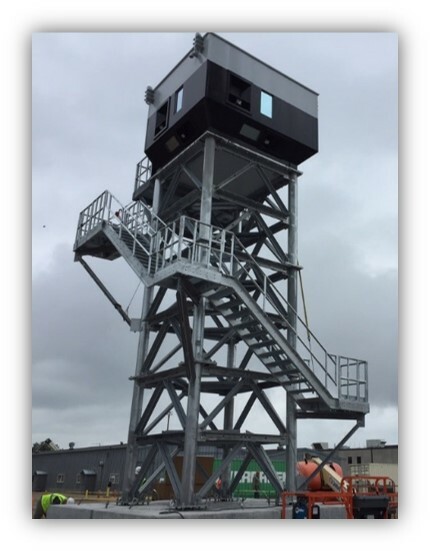 Kontek, a global leader in tested Blast and Ballistic Rated Enclosures offers a blast rated tower (up to 50 feet above grade and taller) to enhance the ability to protect personnel, resources and assets from external threats. Kontek’s proprietary design offers rapid deployment with pre-cast above grade foundations, preassembled tower sections in addition to the ready to install enclosure. The precast foundation does not require excavation and the elevated unit can be relocated with relative ease and minimal disturbance.